Collection of 'Awesome R2-D2 Gadgets and Gifts' from all over the world for your family and friends. R2-D2 Bath Soap: R2-D2 glycerin bath soap measures approximately 3 1/2 inches tall, 2 1/2 inches wide and 1 inch thick. 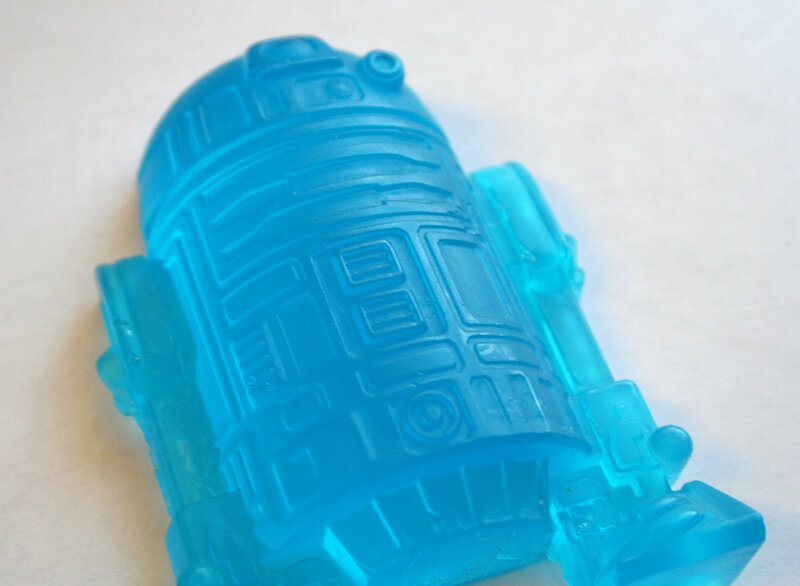 It comes in the blue color shown and unscented for better enjoyment. Buy - $3.75. 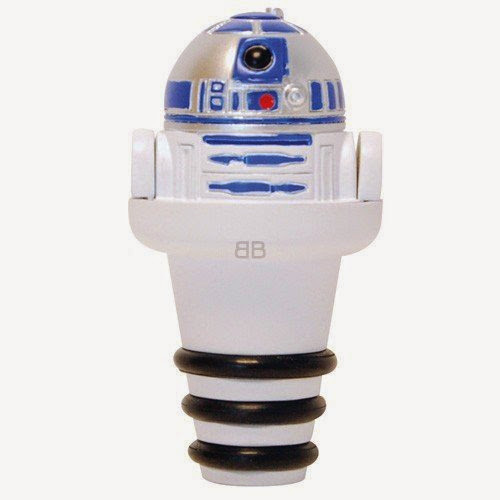 R2-D2 Bottle Stopper: This cool R2-D2 Bottle stopper is a great alternative to the boring corks and what more, now you can keep R2-D2 with your favorite bottles. Buy - $13.99. 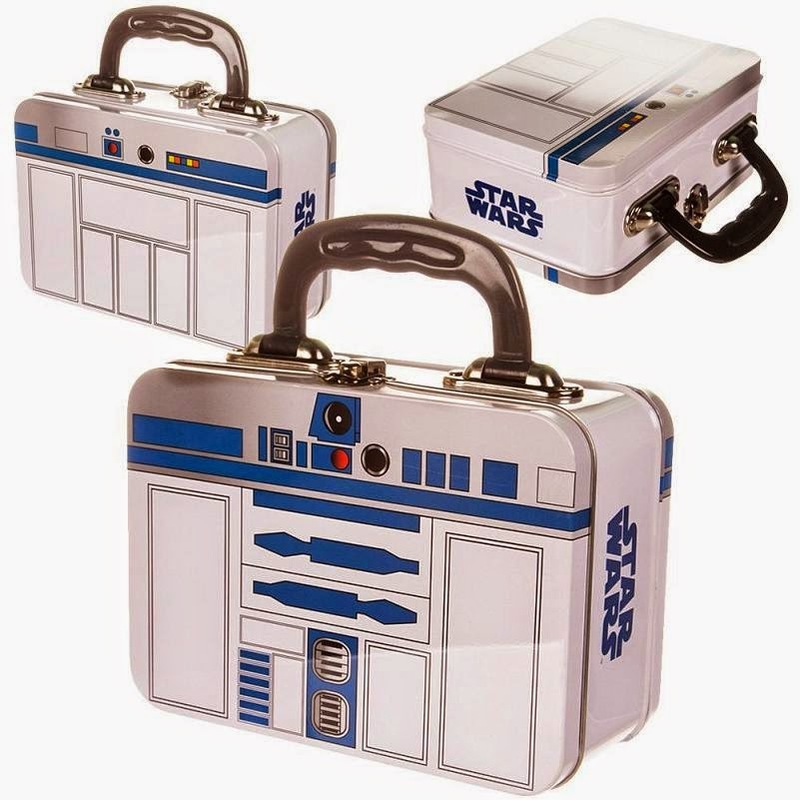 R2-D2 Tin Tote Lunch Box: Now keep your lunch safe with this cute R2-D2 Tin Tote Lunch Box and all will know that you are a true friend of the little friendly robot. Buy - $18.87. 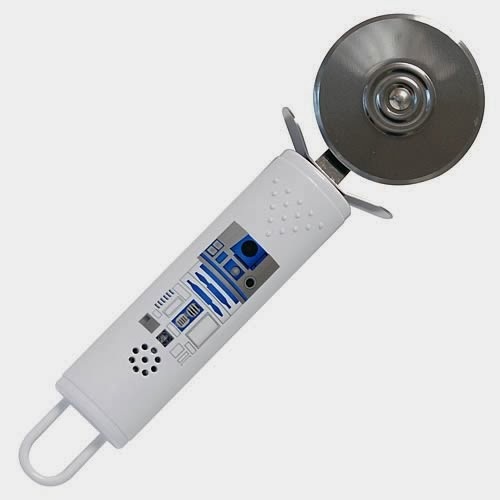 R2-D2 Pizza Cutter: This R2-D2 Pizza Cutter is a fully functional pizza cutter and it beeps happily as it slices. Buy - $19.50. 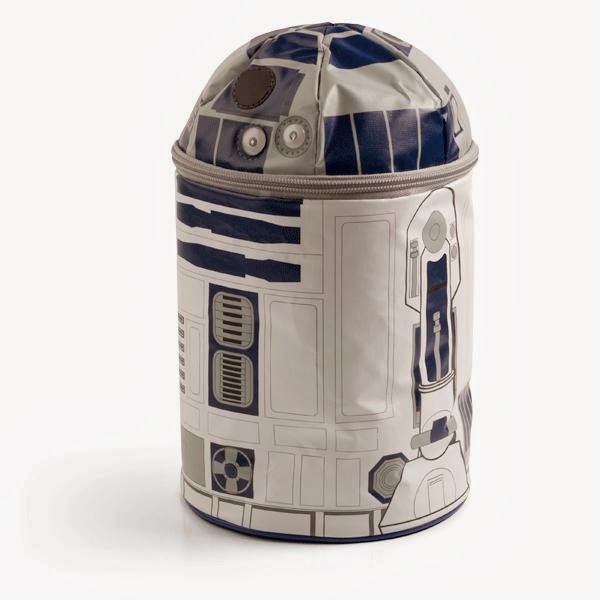 R2-D2 Lunch Bag: This awesome R2-D2 lunch bag lights up, and it even makes sounds once you push the button. Buy - $19.99. 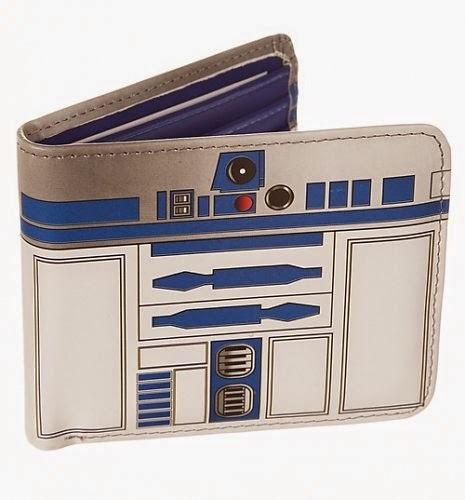 R2-D2 Wallet: This cool R2-D2 wallet keeps your cash safe. Buy - £13.95. 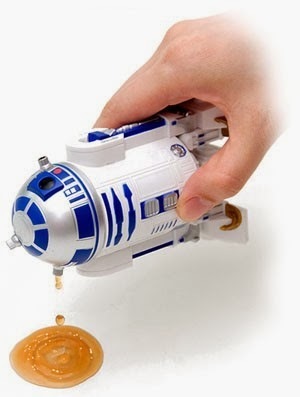 R2-D2 Soy Sauce Bottle: This cute droid holds your favorite sauce. Buy - $21.90. 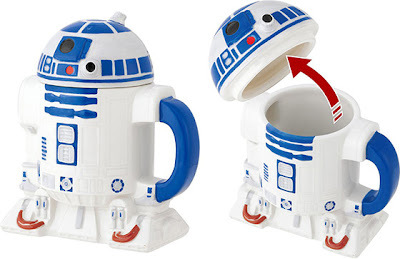 R2-D2 Coffee Cup: A cool cup shaped like the R2-D2 from Starwars. Buy - $24.24. R2-D2 Lights: Each set consist of 10 lights, perfect for home decoration. 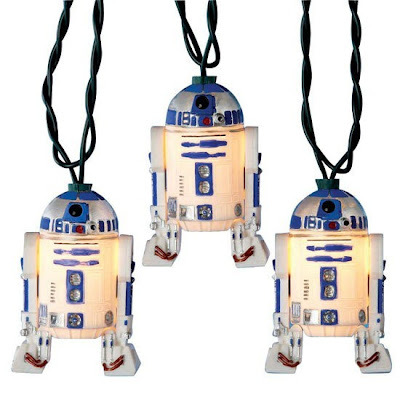 Buy - $34.95. 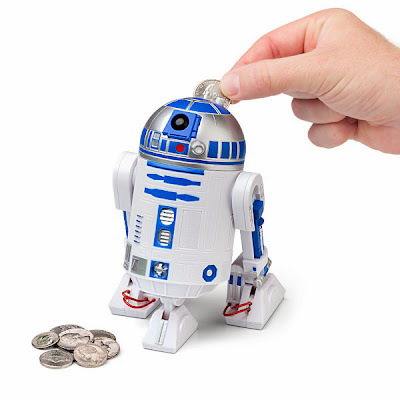 R2-D2 Talking Bank: This little talking R2-D2 bank whistles and beeps each time you drop in some coins. Buy - $37.95. 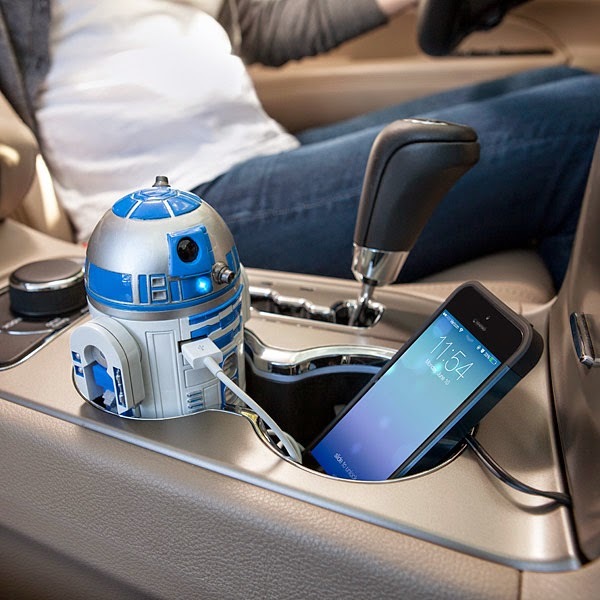 R2-D2 USB Car Recharger: The R2-D2 USB Car Recharger features two USB recharging ports, each provide 2.1 Amps (enough to recharge 2 devices simultaneously). It's compatible with anything that recharges via USB (iPhones, smartphones, iPads, GPS, and more) as long as you have the cable. Buy - $39.99. 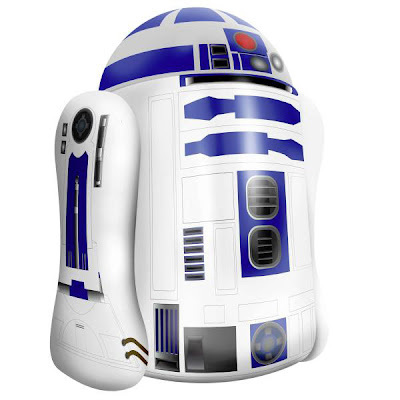 Inflatable R2-D2: It's an inflatable R2-D2 remote control. Buy - $52.88. R2-D2 Suitcase: This awesome R2-D2 inspired suitcase is perfect for traveling. Buy - $79.99. 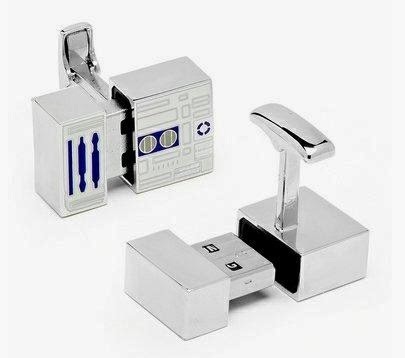 R2-D2 USB Drive Cufflinks: These detailed cufflinks are made out of enamel and comes with 4GB of storage space. Buy - $79.99. R2-D2 Home Planetarium: The R2-D2 Home Planetarium features around 10,000 stars that can be projected from its head. 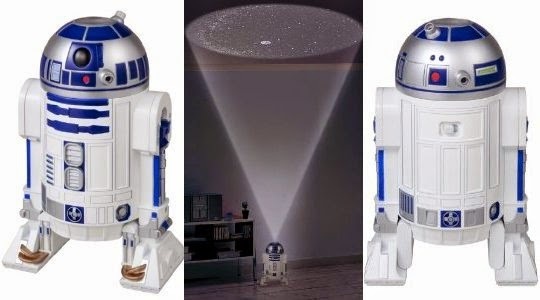 This home planetarium has a projection range of around 4.9-7.5 ft and projected area of maximum 1.8m circumference. Turn it on and gaze at the thousands of amazing constellations that sparkle in our night sky. 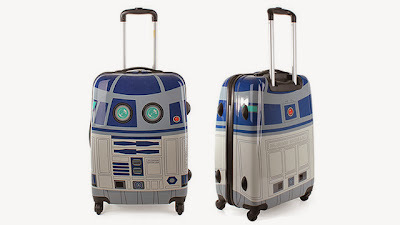 Buy - $ 134.